The MacWet Climatec protects your hands from the cold. It's exclusive material allows for breathability from the inside out. 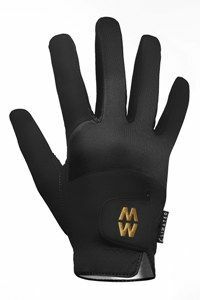 Unlike other gloves where the shooter has to peel back the index finger in order to feel the trigger, the MacWet glove allows the sensitive feel he needs without going through this procedure.